Healthcare providers are focused on delivering the most effective care for their patients. In recent years, however, it has become increasingly challenging for them to carry out that mission due to the growing regulatory demands and accompanying documentation requirements. Failure to adhere to these requirements can result in painful consequences, such as lost revenue, heavy financial penalties, or significant reimbursements due to poor claims documentation. 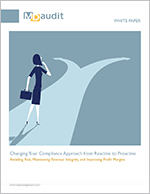 Compliance leaders bear the responsibility for ensuring their organizations avoid these adverse consequences by making sure their providers are complying with the mountain of regulatory directives. To carry out their charge, compliance professionals audit the providers to identify areas of risk and remediate any potential non-compliance issues. In many cases this puts physicians and compliance teams at odds, as we've noted in other recent blog posts. The tools compliance teams use can also create strained relations between these two groups; by focusing attention on claims and coding errors, they can create a negative feedback loop in which auditors circle back to providers to hold them accountable for errors that may have occurred. Frustration between the two groups can grow from there. 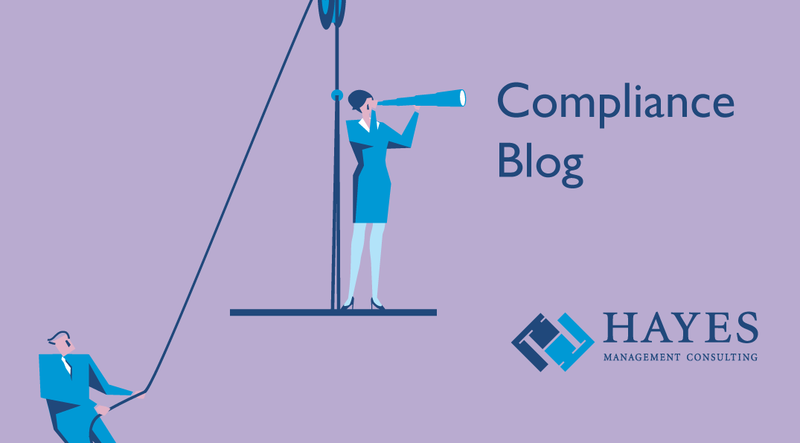 One way to relieve the tension and help providers and compliance professionals work together more effectively is to approach compliance from the provider's point of view. This means considering clinicians' processes and helping them optimize their workflow with compliance in mind. Understanding how clinicians work - and how compliance fits into their processes - can be a much more productive approach for all stakeholders. Such an approach leads to root cause identification and corrective action, rather than simply finding and fixing transactional errors. It benefits the whole organization by enabling both groups to achieve the common goals of effective care, compliant claim submissions, and maximum revenue recognition. Many current approaches to healthcare billing compliance are based on a data-driven perspective that focuses exclusively on billing claims and coding processes. Analyzing claims to uncover errors can result in a comprehensive set of flags that call attention to issues that need to be investigated. However, there is no consideration for the provider's workflow, nor does it take into account the pressures that providers are under to perform their primary function. This coding-based approach to compliance auditing may identify problems, but it makes little progress toward a holistic corrective action program. There are other shortcomings associated with a strictly coding-based approach. For instance, while this method may be useful for analyzing claims and remit data and providing a list of potential problem and risk areas, it doesn't specify what action is needed to address the underlying issues. So the problem is only "half solved." A claims and coding-only approach often requires the creation of off-line reports, resulting in a series of cumbersome electronic spreadsheets. Since the basis for this approach stems from the coding process, it lacks the necessary context that comes from understanding the needs of clinicians. An approach that is based on the provider's point of view, on the other hand, begins with an understanding of the clinician's needs and processes. Rather than just crunching data or reviewing coding issues, a clinician-focused compliance solution points an organization in a direction that enables all stakeholders to solve the identified issues more quickly and easily. Which brings us back to the tools. The ideal tools for compliance auditing should help organizations approach compliance from a provider's perspective, giving both compliance teams and providers the information they need to implement a corrective action plan. Clinician-focused tools reflect a keen understanding of the provider workflow and how compliance fits into the clinician's process. That enables the auditors to offer guidance based on a methodology that flows - not from claims and coding alone - but from knowing what the clinician faces on a day-to-day basis, so that compliance requirements can be factored into their daily routine. Tools that support this approach not only identify risks and problem areas for healthcare organizations, but also seamlessly lead compliance teams and providers directly down the path to corrective action. A provider-oriented approach to compliance means having a solution that is totally integrated, from data gathering to data analysis, and from problem identification to corrective action. You don’t need separate tools to handle each step - which is not only time consuming, but can also result in data corruption and loss during the transfer from one application to another. Because of our long-standing experience working with clinicians, Hayes has developed solutions that help organizations view the compliance process from the clinician’s point of view. Because of this deep experience, our products have evolved to align with the provider's workflow and deliver insightful reporting that simplifies the compliance auditing process. Ultimately the provider-based approach may be your best choice for encouraging cross-departmental cooperation and driving a high degree of success in your compliance program. To learn more about best compliance practices, please download our white paper, Changing Your Compliance Approach from Reactive to Proactive.